If you’ve spent any time at Elie Wine Company you’ve browsed our vast selection of red Burgundy. You know that we know good Pinot Noir. No other Italian wine zone produces more Pinot Noir (Pinot Nero in Italian) than the Oltrepò Pavese. While the majority of it is destined for sparkling wines, the producer Frecciarossa makes one of the most renowned still red wines from Pinot Nero in all of Italy. Indeed, the world’s leading authority on Italian wine, Gambero Rosso, consistently awards their cuvée Giorgio Odero it’s highest rating of Tre Bicchieri (Three Glasses) year after year – an award only the top wines of Italy will ever receive. Cuvée Giorgio Odero is a wine that will likely sell for much more than its current price once it’s “discovered” by some critic with a large audience. For now, let’s keep it between us and our close friends. Oltrepò Pavese is in the southwest corner of Lombardy, wedged between Emilia and Piedmont. 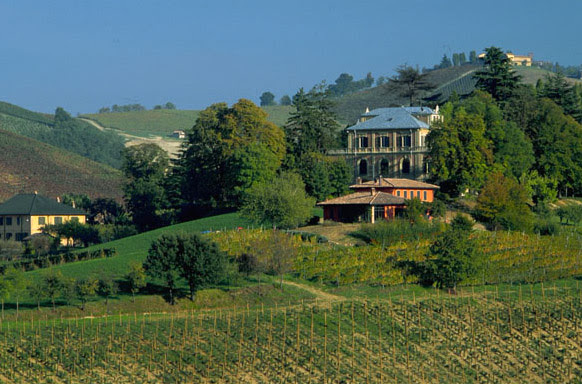 Once part of Piedmont, it is still sometimes referred to as Antico Piemonte. But Lombardians have good reason to feel possessive about Oltrepò, whose lovely Appennine foothills have a relatively mild climate typically characterized by a hot, dry spell in late summer and early autumn that favors slow ripening of the fruit. Giorgio Odero was the son of the founding father of Villa Odero (now about 86 acres total) that brought the region to prominence in the 1930s. 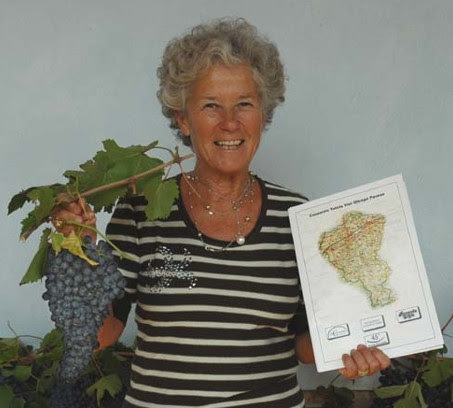 In 1990, under the direction of Margherita Radici Odero, Giorgio’s daughter, the vineyards and the cellar saw further investment. Only about 1,100 cases of Cuvée Giorgio Odero are produced each year. It all comes from an eight acre plot of clay and calcareous soils between 400-500 feet altitude. Farming is sustainable with organic treatments used when necessary. Grapes are hand-picked and sorted before fermentation in stainless steel tanks. The wine is then aged for 12 months in 30% barriques, 30% in one year old barriques, and 40% in one year old tonneaux, followed by at least 24 additional months in the bottle. The result is a wine with the structure of a Premier Cru red Burgundy and the aromatic vibe of Italy. Cherry, raspberry, and red currant precede notes of licorice and hints of smoke. On the palate the fruit starts concentrated and unfolds into a lengthy rush of balanced acid and fine tannins. This is a wine just beginning it’s developmental arc, so while it drinks lovely presently, and would make a fine accompaniment to holiday dinners, it will continue to broaden with years in the cellar.